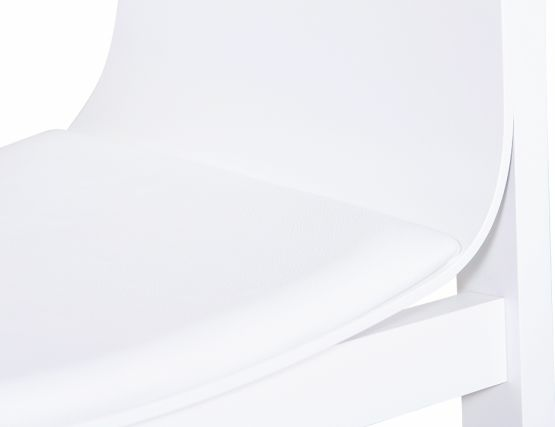 At the intersecting points of pure and sensual is the Merano white armchair from Italian designer Alexander Gufler and fine European furniture maker, TON. 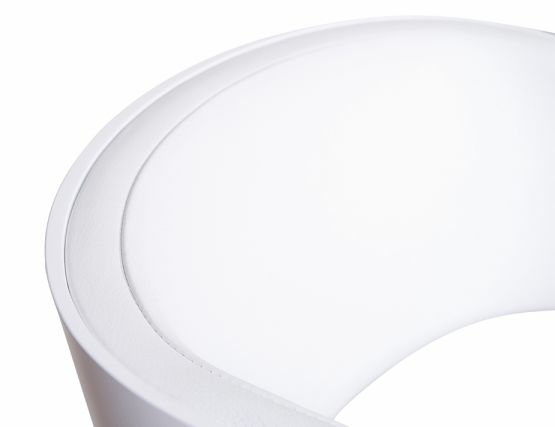 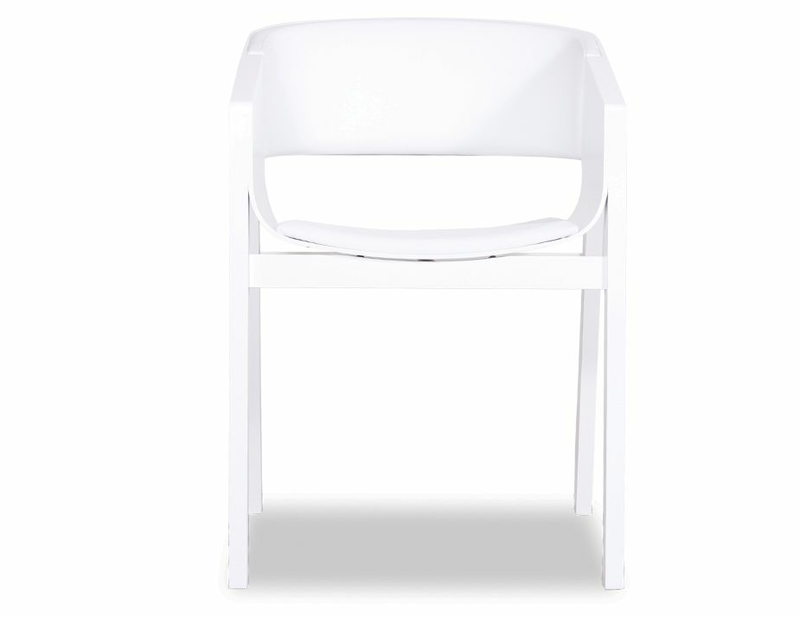 This is no ordinary white dining chair, in fact, this dining chair boasts a designer pedigree and European made quality construction that stand out in a big way. 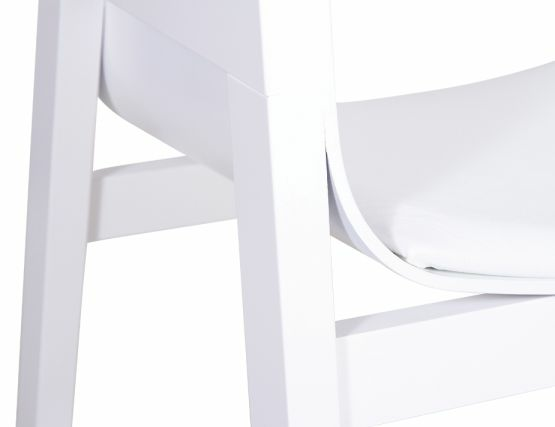 The white Merano white stained European oak dining chair offers an almost sculptural form of overlapping curved pieces that cross to form the seat and backrest. 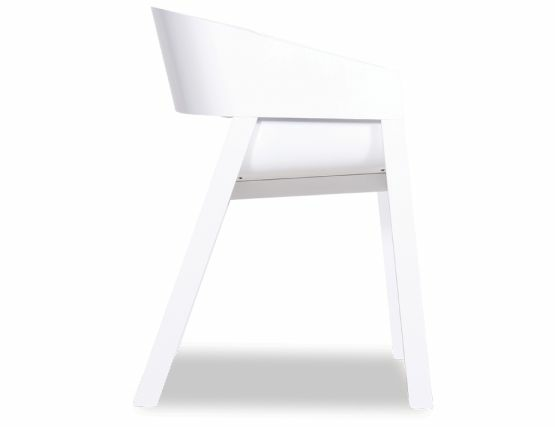 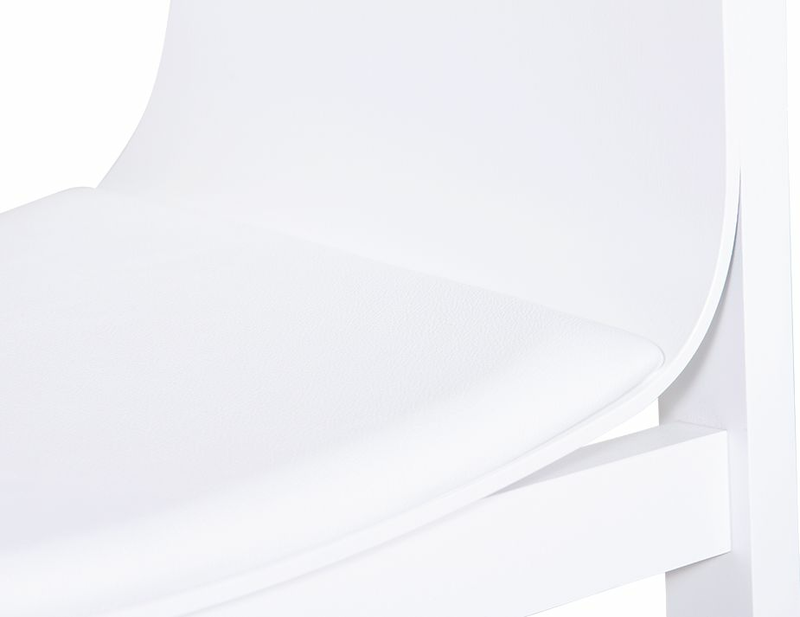 This white dining chair features a custom leather pad that offers comfort and an additional striking design element. 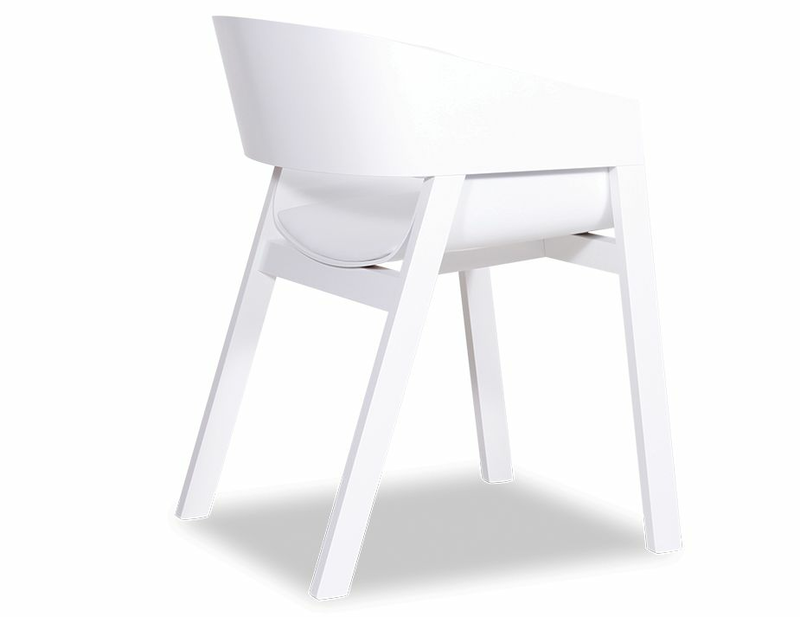 The Merano modern dining chair is no doubt a head turner. This beautiful dining chair will elevate any space it sits in. Unlike the old school luxe design, the Merano white wood dining chair is luxury defined by simple, refined modern design. 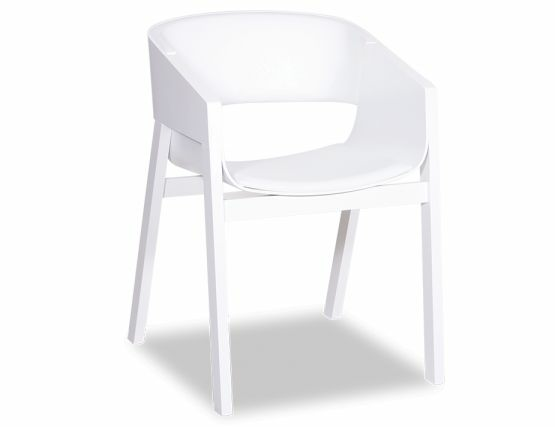 Show off your good taste and make your dining room a thing of beauty with these must have modern white dining chairs.